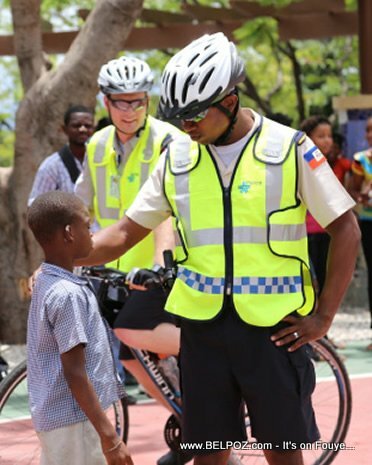 You ever ask yourself why do Haitian police officers put their lives at risk everyday to protect an serve when an average taxi moto driver makes more money than most policemen in Haiti? "I earn $20,000 gourdes per month in subscriptions alone," one taxi moto driver told me, "food, clothing, and motorcycle repairs do not come out of that money." The young taxi driver in the outskirts of of my hometown in Central Haiti, who looks as unfortunate as most in country where almost everyone looks part, has a list of children (abonnement) he brings to school and back every day for $20,000 gourdes per month. That's more than the starting salary of a Haitian policeman. On top of that, he spend the day doing other taxi runs, taking parents to town and running to fill up their 5-gallon jug of drinking water from a distance. Altogether, the young motorcycle taxi driver claims to be making at least forty to fifty thousands gourdes on a given month, almost twice the salary of an Agent 4 of the Haitian National Police force. So don't underestimate the taxi moto driver in Haiti, some of them make a decent living. As for our Haitian police officers. we salute them for their bravery. What else can I say?